Sacked Pittwater Councillor Sue Young and Protect Pittwater Association Member Miranda Korzy gathering signatures yesterday at Avalon Beach. In Issue 260, published April 24th, 2016, we ran the news that five Pittwater Councillors, Cr.s Bob Grace, Sue Young, Selena Griffith, Julie Hegarty and Kay Millar, had voted to support a Motion to commence legal action to Save Pittwater alike that which has successfully retained the councils that this week received the news the NSW Government will cease legal challenges of those councils still fighting against forced amalgamations in courts. The passed Motion, ‘to immediately institute legal proceedings in the Land and Environment Court with respect to forced amalgamations’, put forward by Councillors Grace, Griffith and Young on April 6th, along with a request for an ECM, and not listed until the Council Meeting of the 18th, was overturned at a subsequent ECM, called with less than 24 hours notice and held on Thursday April 21st, during the absence of Councillors Griffith and Hegarty. The same Tuesday a media report quoted former Pittwater Mayor Townsend as having ‘slammed the idea as a waste of money which would cost $60k'. Councillors Grace and Young, who could attend, voted against the 'Committee's Whole Business' but were obviously outnumbered. Deputy Mayor of Mosman Council Carolyn Corrigan, a spokesperson for Save Our Councils Coalition, stated that on Thursday May 19th groups from Waverly and Woollahra would be picketing Malcolm Turnbull’s office, all welcome, that they had commitments to Local Democracy from candidates in his electorate and urged everyone to keep up the pressure. Mosman’s Deputy Mayor said Premier Baird was now ‘rubber stamping his own cabinet’ as advertisements for the merged councils commenced on Wednesday May 11th, appearing prior to the Thursday May 12th morning meeting of the Executive Council (informally and more commonly, the Cabinet of New South Wales) at Government House with His Excellency General The Honourable David Hurley AC DSC, Governor of New South Wales, and prior to the announcement of council dismissals and administrations. Local Government NSW President Keith Rhoades said on Friday, "We all know the reform process has been one of ever-moving goalposts,"
"Each time councils cleared a barrier - whether it was to prove they were financially fit for the future, to show amalgamations were vehemently opposed by their community, or to submit their own merger proposals - the requirements were hastily changed. "Promises of no forced amalgamations were broken, the scheduled election date for merged councils has now been pushed back, and financial support for mergers has been cut - so it's past time that the Government live up to its commitments and do what it has told the sector and community it would." The jubilation expressed for those councils who have won through this week and stayed as they wanted has been met with an equal measure of anger in those communities who reiterated over and over and over they did not wish to be merged with others - especially those, in Pittwater's case, they had finally freed themselves of, after a 20+ year battle, just a few decades prior to May 12th, 2016. 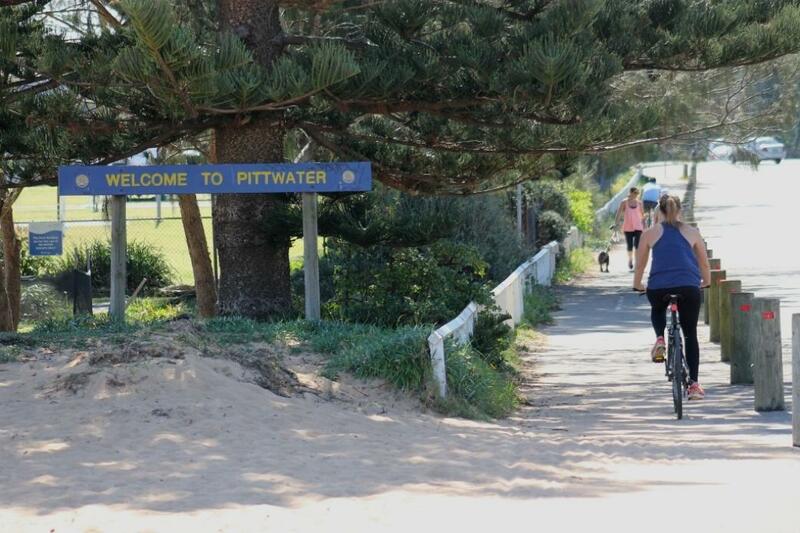 Pittwater community groups, Save Pittwater and the Protect Pittwater Association have quickly called for Pittwater to be demerged in one case and for a plebiscite, restricted to Pittwater residents within the original boundaries of Pittwater Council. 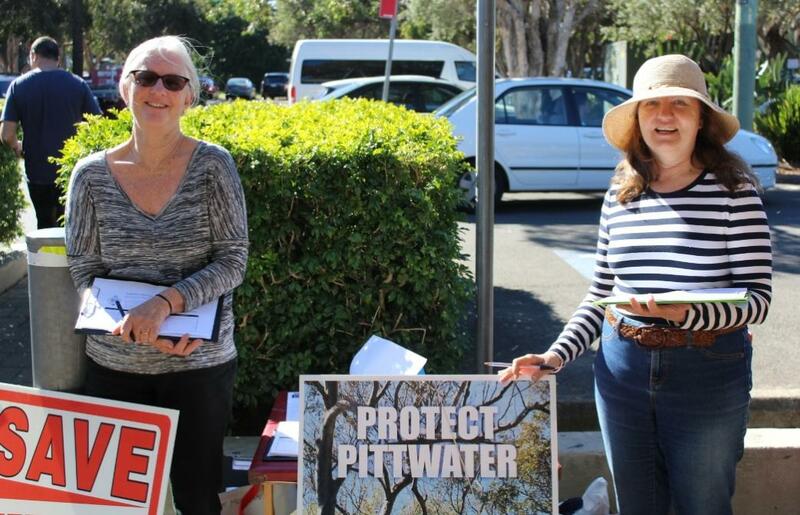 What is most telling is that everywhere the Protect Pittwater Association members stand to gather petition signatures is that the people in the street are readily doing so. They want Pittwater back along her original boundaries - stating the same message over and over and over again - "we're not standing for this, and we're not going away." What is clearly apparent is this week's announcements have only strengthened the resolve of our community to have their own day, finally, in court. Media releases issued regarding this subject run below. Residents campaigning to recover Pittwater Council today called on local MP Rob Stokes to support a bill in Parliament next week giving communities the chance to demerge their councils. Protect Pittwater President Bob Grace said Mr Stokes should vote for the bill, which would prevent any future amalgamations without a referendum and also ensure plebiscites are held in areas where councils have been forcibly merged. “Rob Stokes now has a chance to stand up and speak on behalf of his community,” Mr Grace said. “The overwhelming majority of the community was opposed to the forced amalgamation of Pittwater, with 89 per cent voting against it in a council poll. “We call on Mr Stokes to honour his duty to represent the people of his electorate and to vote for the bill, even if it means he must cross the floor in Parliament. The bill, which passed the Upper House in June and was supported by all parties except the Coalition, would set up plebiscites in all areas forcibly merged last year. If passed, it ensures that the plebiscite must be held within a month of the act coming into force. The bill is expected to come to the Lower House on Tuesday. Mr Grace also encouraged Pittwater residents to email or telephone Mr Stokes before Tuesday, asking him to support the bill. Mr Grace said Protect Pittwater welcomed Premier Gladys Berejiklian’s announcement on Thursday that the government has abandoned the forced amalgamations of councils involved in legal action. “The government has recognised the anger of those communities in court and we are delighted for residents in those areas who will retain their democratic rights,” Mr Grace said. “However, we hope the government will also recognise the democratic rights of residents in all other forcibly merged councils remaining across the state. Before the mergers, Pittwater had nine representatives on a stand-alone council, however, after elections on September 9 will have only three representatives on a council of 15. Protect Pittwater has engaged lawyers and is circulating a petition which under the Local Government Act would require the Local Government Minister to refer the amalgamation to an inquiry. Today Premier Gladys Berejiklian walked away from her government’s policy on forced Council mergers, abandoning plans to merge Councils in litigation against her government on this vexed issue. Last February, the NSW Government walked away from regional council mergers, saying that municipalities challenging the policy in court would no longer be forced to merge. Unfortunately, she still has not taken the final step to bury this undemocratic policy by demerging Councils forced to merge against the will of their ratepayers. This means that Pittwater and many other areas of the state similarly affected will fight on until the policy is completely dismantled. It is only due to a failure in Pittwater Council (before its forced termination) to follow through on a motion to seek legal advice with a view to joining in that litigation that sees Pittwater residents in their current dire state. The Premier said, "Perhaps up to two years ago when we entered into this process, with the benefit of hindsight we should have done things differently. Perhaps we should have listened earlier on in the process." The Premier’s comment applies to Pittwater as well as many other communities, whose strong objections to merging with other councils have in many cases been ignored by the NSW government. Opposition Leader Luke Foley MP today called for the Premier to complete the demolition of this failed policy by allowing plebiscites in all LGAs affected by forced amalgamations. These plebiscites must be held in the former council areas to be fair. Pittwater Forever is a federation of 18 of the major Resident Associations within the Pittwater area. We assist in representing their interests to protect and preserve the unique environment of Pittwater. Pittwater Forever is independent and has no political allegiance or bias. Due to the protracted nature of current legal challenges and the uncertainty this is causing ratepayers, those council amalgamations currently before the courts will not proceed. Premier Gladys Berejiklian said while the amalgamations program had been successful and ratepayers in the merged councils were benefitting, the NSW Government had decided to end the uncertainty with the remaining proposed mergers. “The Government’s merger policy has always been about putting ratepayers first and it has become increasingly clear that certain councils were happy to continue lengthy and costly legal proceedings,” Ms Berejiklian said. “We want to see councils focusing on delivering the best possible services and local infrastructure to their residents. That is why we are drawing a line under this issue today and ending the uncertainty. Local Government elections for all merged councils and the 14 affected by today’s announcement will be held on Saturday, 9 September. Minister for Local Government Gabrielle Upton said it was important for local communities to have certainty in the lead up to the September local government elections. “The Government remains committed to reducing duplication, mismanagement and waste by councils so communities benefit from every dollar spent,” Ms Upton said. “Since becoming Local Government Minister I’ve spoken to councillors, administrators, and ratepayers. We all share a commitment to improving our councils and providing better value for ratepayers. New councils have reported overall savings of more than $50 million between their establishment and March this year. This is almost three times more than original expectations. Local Government NSW (LGNSW) has applauded the announcement today from Premier Gladys Berejiklian and Minister Gabrielle Upton that the Government has abandoned the forced amalgamation of 14 metropolitan councils. LGNSW President Keith Rhoades said: "It is a great day for local democracy and we commend this eminently sensible decision. "Premier Gladys Berejiklian has really listened to the people." Clr Rhoades said the Premier had inherited a difficult situation. "LGNSW has always supported reform, and this decision gives us the opportunity to get on with the job." he said. "We need to address the very real financial sustainability issues councils face - fixing the rating system, ending cost-shifting and getting a better share of tax revenue to support the local services communities depend on every day." "We remain keen to work in partnership with the Government and today's announcement gives us a solid foundation to move forward." Clr Rhoades noted that 20 councils had already been forcibly amalgamated. Communities will have the opportunity to have their say at council elections in September this year. At the same time, he also commended the people working in these new councils to ensure they deliver for their communities. "Local democracy and delivery for communities is what it's all about," Clr Rhoades said.